Humour. A street shot from Green Park. 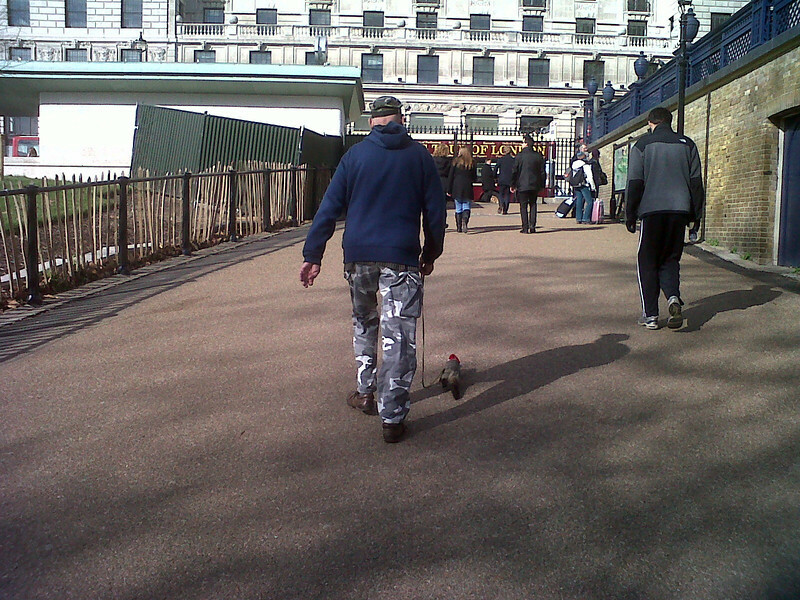 I was a few seconds too late on the draw with my blackberry for this one really, but look carefully and you will see a ferret being taken for a walk, wearing a santa hat!